Most of us here at Mixed In Key got our introduction to electronic music through either House or Trance, with Drum & Bass barely a blip on our radar. 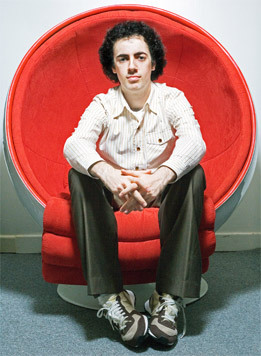 That all changed when we heard the soulful groovy tunes of High Contrast, the UK’s premier Drum & Bass DJ. We sat down with him to see if we could learn a little bit more about his style of music and DNB in general. Mixed In Key: What makes Drum & Bass different from other genres? High Contrast: DNB stands alone in dance music for a number of reasons. It’s around 170 BPM, which makes it unmixable with most other genres. House, garage, breaks, and techno are all around 120-130. The only other high speed genres are gabba or breakcore, but that’s pretty much off the radar for most people due to its drug fuelled mania! Mixed In Key: What is it about Drum and Bass that gets you excited? Is it the tempo? 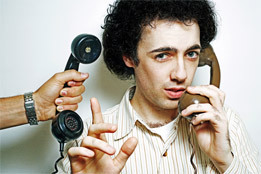 High Contrast: DNB has this strange ability to morph and take on new forms. There isn’t a generic DNB sound, which means it can reinvent itself, making it fun to produce and DJ. It also feels unusual to dance to DNB. The house world tempo feels quite safe and normal in comparison, whereas with DNB you have to find your own way of moving to it. The beats can go from a straight 2 step to totally nutzoid chopped up breakage, so again you have to find your own way to dance to it. But what excites me is the vibe, there’s just something magical about the collision of styles within DNB. Mixed In Key: Do you work on music all of the time? High Contrast: My day is a mix of being at my home/studio or being on the road DJing. I think it’s just as important to think of ideas, listen to other music or films or art or books as it is to actually produce music. It all feeds into it. Mixed In Key: It’s unusual to hear that you read books for inspiration. Do you have a favorite genre? High Contrast: I collect mainly old books. Everything from philosophy and psychology to pulp paperbacks and 19th century classics. Of course I have a huge pile that I haven’t read yet. Mixed In Key: Tell us about your production process. High Contrast: I make everything in Cubase on a Mac. I have hardware synths but I don’t use them that much. I am trained in piano, so that comes in handy when writing riffs. I’ve started getting old samples replayed by musicians. One, I don’t have to clear the sample, and two, I can expand upon the sample get a richer tone. Mixed In Key: What are some of your signature sounds? 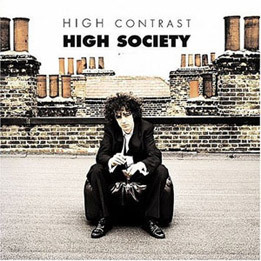 High Contrast: I think people associate me with an uplifting yet melancholic sound. I try to make emotionally-charged music but I am also driven by the pursuit of contrast. I don’t think there is a High Contrast sound that can be put into words, it’s just on the tracks. I try not to repeat myself; I make things differently each time. I forget how I made certain sounds, sometimes that’s annoying but it keeps me fresh. Mixed In Key: Your music is more symphonic than other Drum-and-Bass. It’s unusual, and your strings always stand out. Why do you like them? High Contrast: I’ve always been drawn to strings. They are the most emotive sound to use. You run the risk of being emotionally manipulative perhaps, but hey that’s art! I guess it stems from film soundtracks. The classic soundtrack sound is very string led. Strings work well in Drum and Bass because they don’t clash with drums or bass. Mixed In Key: Do you ever get writers block? How do you work around that? High Contrast: It’s not so much a block, but I certainly get frustrated when I can’t get the sound in my head into the computer. As time goes on, making tunes becomes harder because you become more specific in what you want. You are more aware of what you are doing. But I try to keep it fun and not like work. Mixed In Key: Do you use any old samples in your productions? High Contrast: Sure, I use lots of old samples. “Nobody Gets Out Alive” has a sample from the 20s. Also “Kiss Kiss Bang Bang” is from the 50s. When they are that old, you don’t have to pay for them. If I make a track with a newer vocal then we would look into getting someone to sing it again. Mixed In Key: What kind of vibe do you try to create when you DJ? High Contrast: To a degree you have to change with the times. I try to play as beautiful as possible and then throw in some curveballs to keep people on their feet. Mixed In Key: Since we have a large audience of DJs, what qualities do you look for in an opening DJ? High Contrast: Someone who understands the concept of a warm-up DJ. When I was starting out playing before the headline act, I always treated it as warm up and didn’t just try to outdo the next guy by playing as hard as possible. It’s about taking the crowd somewhere, respecting them but trying to push the envelope too. I like continuity on a night, a natural flow of sounds. Mixed In Key: Do you get mobbed by screaming female fans after your sets? High Contrast: Haha, well promoters always say that on the nights they book me to play, there are more women than for any other dj. Mixed In Key: How do you explain that? High Contrast: I think the DJ name is very, very important. I don’t have an aggressive name or a closed name. It’s more like a question, it leads you in to find out more. People feel they are not getting bashed over the head with dark beats when they come to see me. There will be melody and vocals. Plus, I rather like bootlegs of popular tunes, which is always good for the crossover. Mixed In Key: I’ve read that you lead a chemical free life. How do you view the club scene and your role in it? High Contrast: I am an anomaly. For me, drugs have nothing to do with what I do. Of course, I recognize that every musical movement is intertwined with a particular drug movement. But I think less and less drugs are being taken in the club scene. I try to make uplifting music so you don’t need drugs to get a rush. Mixed In Key: What advice do you have for other DJ and producers? High Contrast: Just make and play what you love, bypass the ego, become the audience, and seek oneness not a divide. Hah, that sounds rather New Age. Mixed In Key: Do you have any tips for DJs who are just starting out? High Contrast: The best way to learn is to get in front of crowds and play on many different setups. I played in the backroom of an RnB club at 3 in the morning for free for many months, just learning my trade. Mixed In Key: Thank you very much. To buy his tunes, visit HospitalRecords.com or buy them in your favorite music store. High Contrast uses Mixed In Key software on his Mac for harmonic mixing. 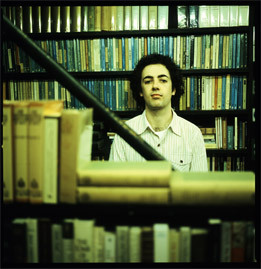 High Contrast is a harmonic mixing DJ and producer from the United Kingdom. His brilliant work has inspired many people to discover Drum and Bass.